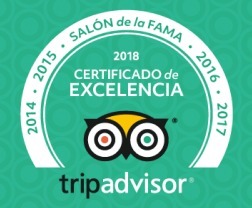 We have a variety of tours in Panama for all our Hotel Playa Reina visitors. There are so many different activities, for all the family and great attractions. 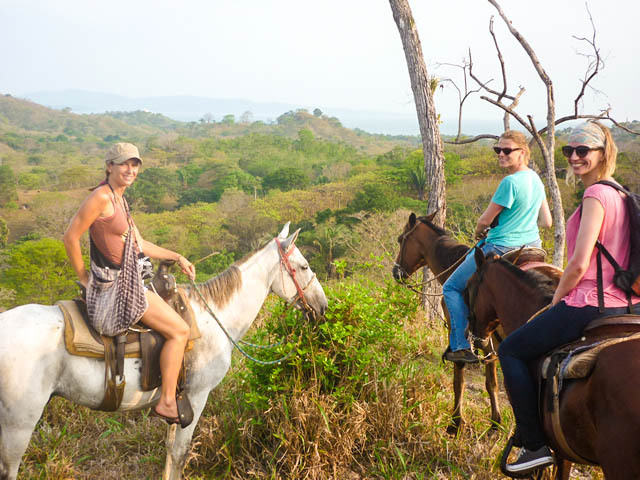 Go to see the whales, practice fishing, learn surf or if you are an expert enjoy of all the best waves of all the Panama beaches, tour riding horses aver the sand, and more. 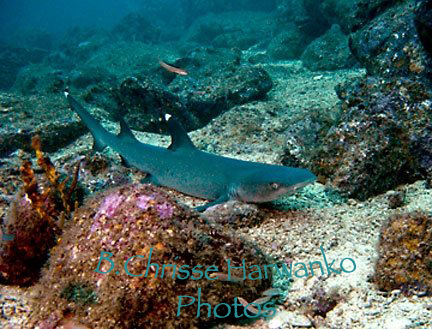 Snorkeling activities are generally recommended off of the Island of Cebaco, just a short boat ride from Playa Reina. Tours are available on a regular basis. 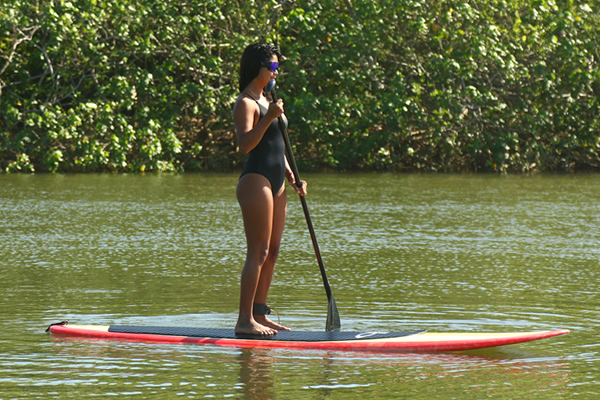 Stand Up Paddle activities are available in both flat water and surf SUP. We offer SUP rentals & tours. Playa Reina has some of the best fishing in the region. 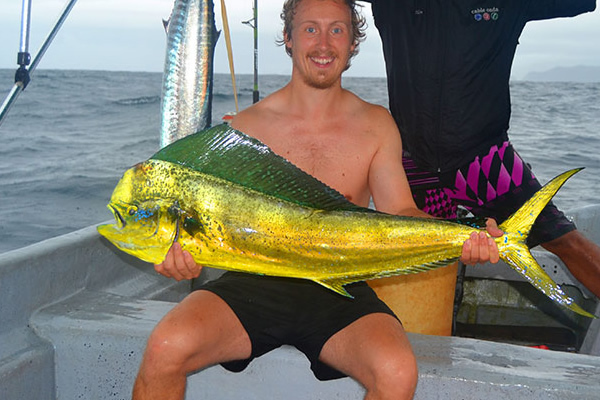 Fishing charter tours are available on a regular basis. Our horseback riding in Hotel Playa Rneina is an exceptional experience with beautiful views from the hills, galloping on the sandy beach. 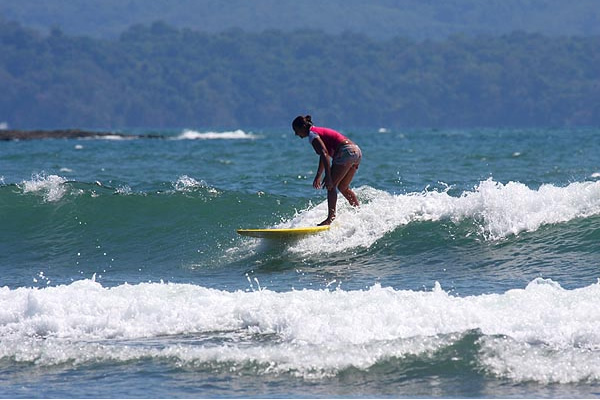 Surfing is one of the most popular activities in this area of Panama, thanks to the variety of surfing beaches and consistent swell activity. 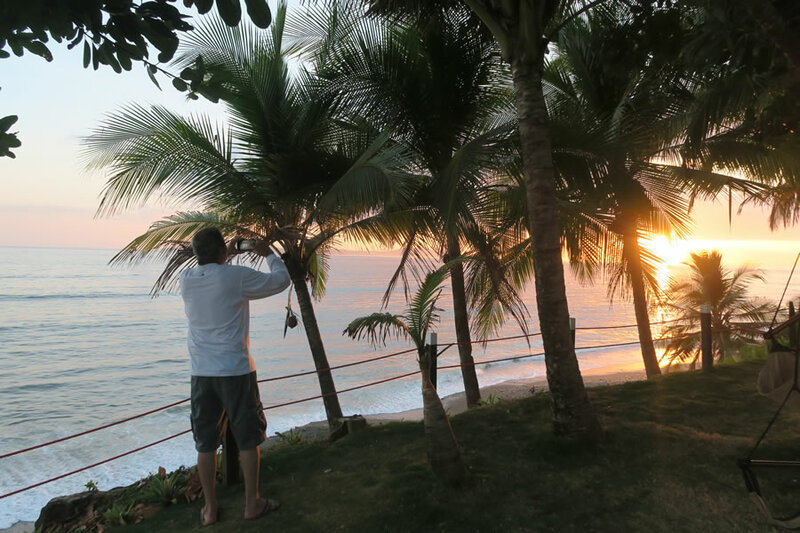 Directly in front of Hotel Playa Reina there are multiple surfing spots ranging from center peak to lefts and rights, river mouth, beach break, and reef breaks. We offer free use of our soft-boards as part of our hotel service. Surf tours are also available on a regular basis. 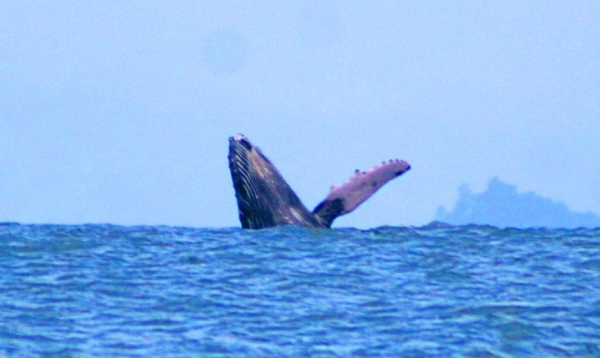 Whale watching activities are generally recommended off of Cebaco Island or Coiba Island. Tours are available on a regular basis. Yoga Retreats are available on a regular basis. 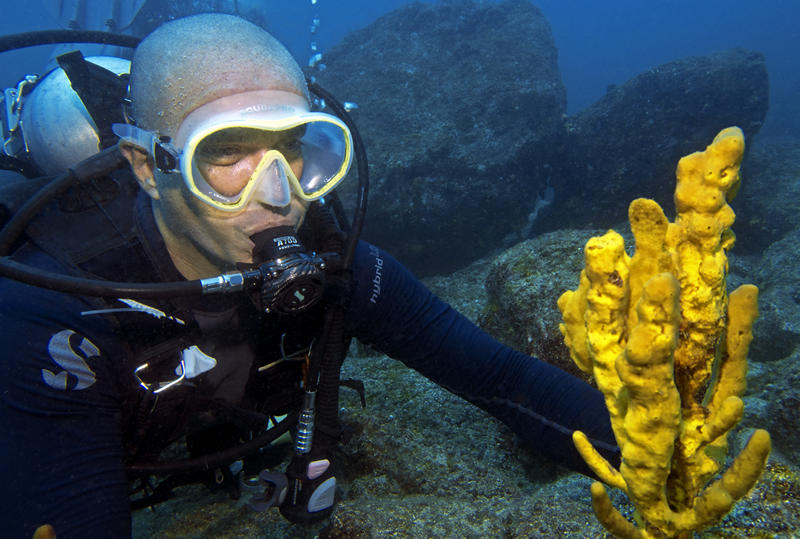 Scuba diving activities are generally recommended off of the island of Cebaco, just a short boat ride from Playa Reina, or Coiba Island which is a national marine park a few hours boat ride from Playa Reina. 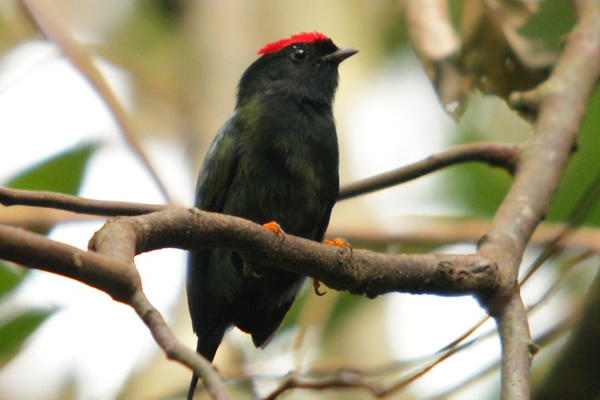 Tours are available on a regular basis..
Bird watching activities are generally recommended at the Cerro Hoya National Park, or on Coiba Island. Tours are available on a regular basis. Kayaking activities are available in both flat water and surf kayaking. 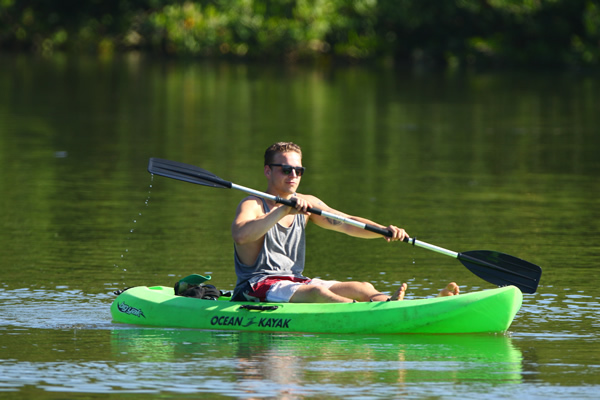 We offer free kayaking as part of our hotel service. Spanish instruction is available on a regular basis.